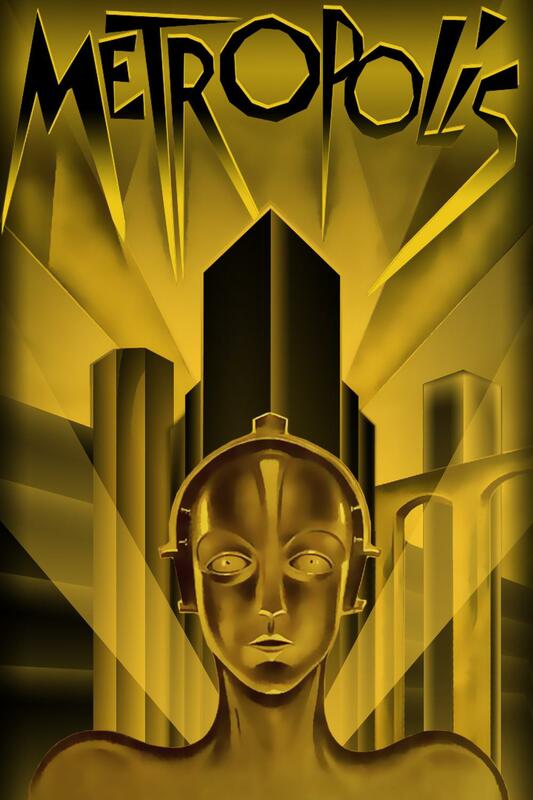 The classic epic Science Fiction film Metropolis, directed by Fritz Lang was released 10 January 1927. It is set in a futuristic urban dystopian nightmare world, which is governed by wealthy industrialists from high-rise tower complexes, while a lower class of underground-dwelling workers toil constantly to operate the machines that provide its power. The Master of Metropolis is the ruthless Joh Fredersen, whose wealthy son Freder idles away his time in a pleasure garden with the other children of the rich. That is until he meets Maria, a poor worker, who lives underground who informs him of the atrocious working conditions underground. So he decides to investigate for himself. Once underground He reaches the Machine Rooms and whilst exploring he witnesses an industrial accident when one of the giant machines explodes after its operator collapses of exhaustion. He also meets Josephat (Frederson’s Sacked former Assistant). Fredor then returns to the machine rooms, swaps places with the worker Georgy and learns of a secret meeting and finds a coded map which he takes to the scientist Rottwang where he finds out that The maps show a network of ancient catacombs beneath Metropolis, and also sees Rottwang’s recently built robot. Having seen the atrocious working conditions Freder decides to help Maria improve matters by bringing the working and ruling classes together. However Fredersen and Rotwang conspire to stop them, so Rotwang Kidnaps Maria and The Thin Man (Frederson’s Spy) attempts to bribe and intimidate Josephat into leaving Metropolis. Rotwang then creates a lifelike robot of Maria. This causes chaos throughout Metropolis, driving men to murder out of lust for her and stirring dissent amongst the workers. However the real Maria manages to escape from Rotwang’s house and Frederson learns of Rotwang’s treachery. Meanwhile Freder and Josaphat find the Robot Maria causing mayhem and urging the workers to rise up and destroy the machines. The workers then proceed to destroy the Heart Machine, the central power station for Metropolis, causing carnage and widespread flooding which puts everyone’s lives in danger. Elsewhere Freder tries to rescue Maria but has a deadly encounter with Rotwang who tries to stop him.